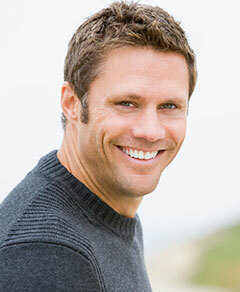 For replacement teeth that mimic the structure and appearance of natural teeth, consider dental implants. Dr. Anillo can place and restore dental implants in the comfort of our West Kendall office, for your convenience. You can rest easy knowing that the same experienced team who cares for your general dental needs will be by your side throughout the dental implant process. Sufficient bone tissue and good oral health are imperative for a positive dental implant procedure. If you're approved for dental implants, a brief surgery will be required to place small titanium posts into the sockets left by missing teeth. Your bone tissue will naturally fuse with the titanium to create a solid foundation for an aesthetic replacement tooth or prosthetic. Dr. Anillo will work closely with a trusted dental lab for lifelike teeth that will give you a strong, gorgeous new smile. With dental implants, you'll feel like a kid again! If you need dental implants that will give you a reason to show off your smile, call the Miami dental office of Juan Anillo, DMD, Manny Anillo, DMD, and Maria Abril-Barsky, DMD. Our practice serves patients from the greater Miami area, including those from West Kendall.